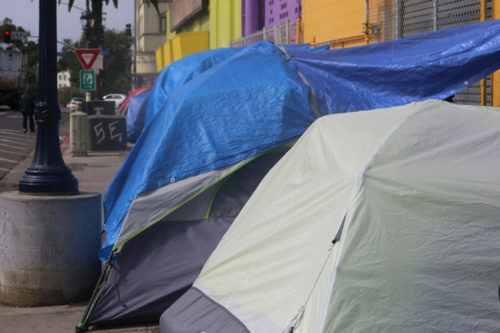 SAN DIEGO–The County Board of Supervisors Tuesday voted to allow the Health and Human Services Agency to apply for and receive about $125 million to help people with serious mental illness and who are homeless or at risk of losing their home. The state funds come from the No Place Like Home program that California voters approved in Nov. 2018. The program provides funding to local communities for the development of permanent supportive housing for people in need of mental health services and who are experiencing or are at-risk of homelessness. “The No Place Like Home program will be used to leverage other funding sources for the development of affordable housing throughout the region,” said David Estrella, director of HHSA’s Housing and Community Development Services. The County is eligible to receive an estimated $125 million in No Place Like Home funding over the next four years for units that will house about 1,100 people. Eligible activities under the No Place Like Home program include acquisition, rehabilitation, new construction and preservation of permanent supportive housing, which is affordable housing coupled with supportive services to ensure the success of its residents. It is anticipated that the County will assist in the development of 35-40 affordable housing developments, resulting in the creation of approximately 500-600 permanent supportive housing units, the first of which will be ready in the next three to eight years. The County will hire 15 staff for to administer the program. “If we can get and keep the most vulnerable people in stable housing, we will see improvements in physical wellness and in behavioral health,” said Alfredo Aguirre, director of HHSA’s Behavioral Health Services, which will provide a range of services, individualized to the needs of the residents. The services will include outpatient care that incorporates medications and other support services, intensive case management, and assertive community treatment, a comprehensive wraparound model of care. “This collaboration is essential to ensure that residents are successful in attaining and sustaining housing while supporting their wellness and achieving their recovery goals,” added Aguirre. Supportive housing, typically integrated into larger affordable housing developments, links homeless San Diegans with mental illness to a permanent place to live as a first step towards stability and recovery. In addition to getting a home, supportive housing clients also get mental health services, primary health care, alcohol and drug services and social services. The County has invested Mental Health Services Act housing funds to provide 282 units of high-quality dedicated supportive housing that are currently leased, with an additional 123 units under development/leasing up, for a total of 407 units. Overall, County Behavioral Health Services has 1,322 partnership units that provide dedicated supportive housing for clients with serious mental illness and/or substance abuse issues.